New Eagle Scouts, Kevin Greenwood (left) and Clayton Taggart. 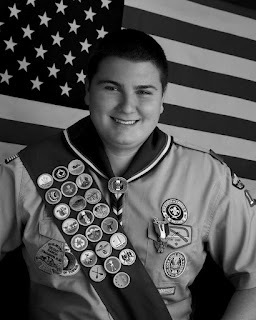 On Sunday, May 6, 2012, Monrovians Kevin Paul Greenwood and Clayton William Taggart will be presented with their Eagle Scout Awards at the Arcadia Community Center at 11 a.m. Both began as Cub Scouts at the Barnhart School, and moved to Troop 103 in Arcadia after their time as Webelos. They are currently seniors at Monrovia High School. Kevin is the Student Body President, and Clayton was an integral part of the Football Team’s winning back-to-back League Championships. 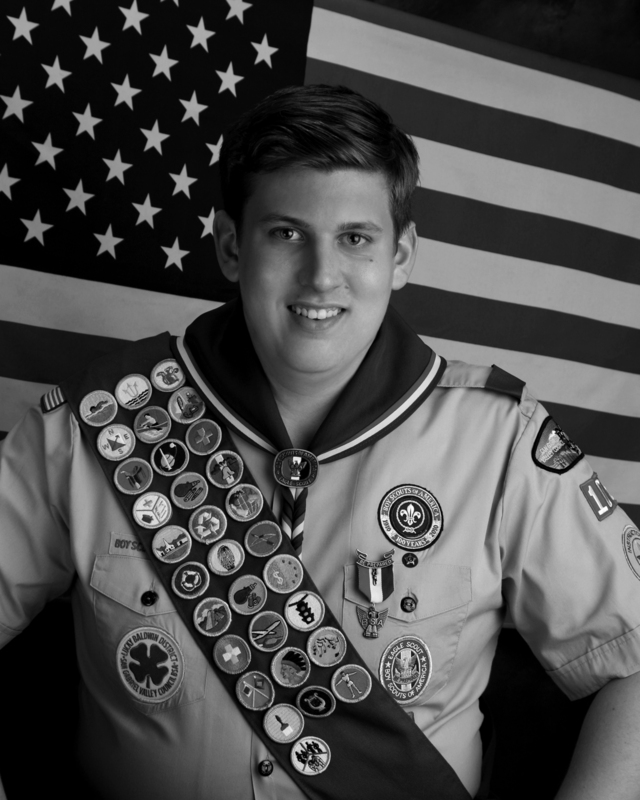 Kevin Greenwood has been in Troop 103 for seven years. He has earned a total of 31 merit badges, and he has served as Patrol Leader, Assistant Patrol Leader, Quartermaster, and Instructor. Kevin’s Eagle Project was to tear down and refurbish the Club Board at Monrovia High School. They removed the supports, repainted the frame, replace the supports with sturdier redwood 2x4s, and then added marine grade plywood as the new background for the club logos. The work took place over three weekends. Thanks to the support of family, friends, and fellows Scouts, Kevin was able to complete his project before school began last fall. Over 190 man-hours were logged on this project. Clayton Taggart has been in Troop 103 for seven years. He has earned a total of 22 merit badges, and he has served as Quartermaster, Assistant Patrol Leader, and Patrol Leader. Clayton’s Eagle Project was to renovate the concrete trash bin areas at Ronald McDonald House in Pasadena. They demolished and removed the existing bricks on site. They then prepared the area and poured fresh concrete, to provide a walkway and storage area for the large trash bins. The work took place over three weekends. Thanks to the support of family, friends, and fellow scouts, Clayton was able to complete his project this past November. Over 141 man-hours were logged on this project.